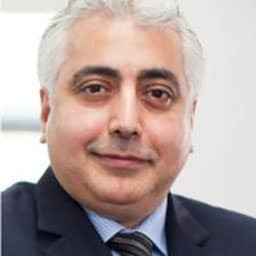 Dr Firas Al-Niaimi is a highly experienced consultant dermatologist, cosmetic and laser expert with over 15 years’ experience and an international standing. Dr Firas Al-Niaimi is a highly experienced consultant dermatologist, cosmetic and laser expert with over 15 years’ experience and an international standing and trained in some of the UK's top hospitals and currently holds an honorary consultant position at the world-renowned St. John's Institute of Dermatology at Guy's and St. Thomas’ Hospital where he completed an advanced fellowship in dermatologic surgery and lasers for a full year followed by additional advanced training in various centres in the USA. His has a passion for education, research and science & has over 150 publications in Dermatology and lasers making him one of the most prolific and well-published consultant dermatologists in the UK. In addition to this he has more than 200 scientific presentations all around the world where he is regularly invited to speak in addition to several chapters of books and his own book. Al-Niaimi F, Jury CS, McLaughlin S, Herd RM. Review of management and outcome in 65 patients with lentigo maligna. Br J Dermatol 2009;160(1):211-3. Al-Niaimi F, Cox NH. Patterns of drug-induced cutaneous eruptions: part 1. Dermatology in practice Vol.16(4):12-15.